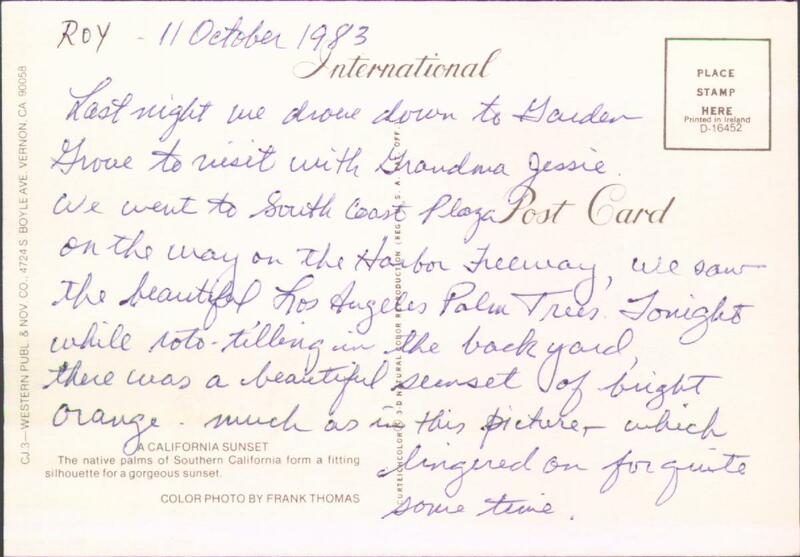 Last night we drove down to Garden Grove to visit with Grandma Jessie. We went to South Coast Plaza on the way on the Harbor Freeway, we saw the beautiful Los Angeles Palm Trees. Tonight while roto-tilling in the backyard, there was a beautiful sunset of bright orange - much as in this picture, which lingered on for quite some time. 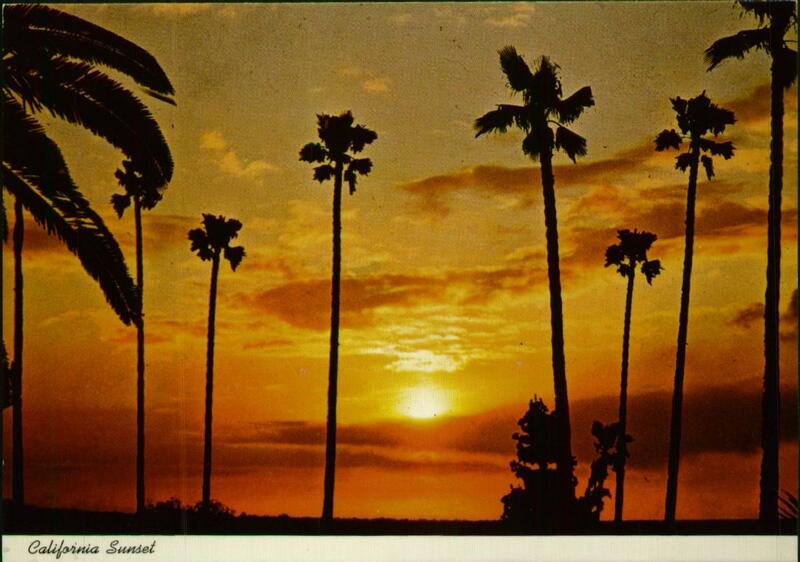 The native palms of Southern California form a fitting silhouette for a gorgeous sunset. I don't remember this kind of sunset from my youth, or from when I was in college, but I can accept it as a reality if I know that my dad saw one while rototilling.